5 Gift Ideas For The Runner Who Has Everything | JustRunLah! We, runners, are difficult to please. If you’ve ever read any post-race comments or reviews, you’ll surely agree. So, what can you do when you need to shop for your running buddy who already has all the gear and fitness gadgets? Don’t worry, we are here to help: here are some unique gift ideas that any runner will appreciate. Bookmark this list to refer to when the next birthday comes along, or go ahead and treat yourself with one or two of the following gifts now! 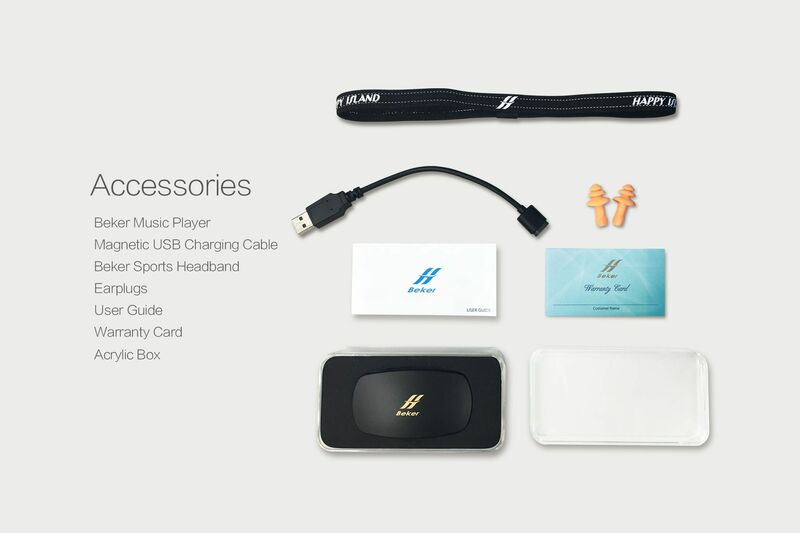 Say goodbye headphones falling out of your ears; say goodbye to music players getting damaged by water or sweat. 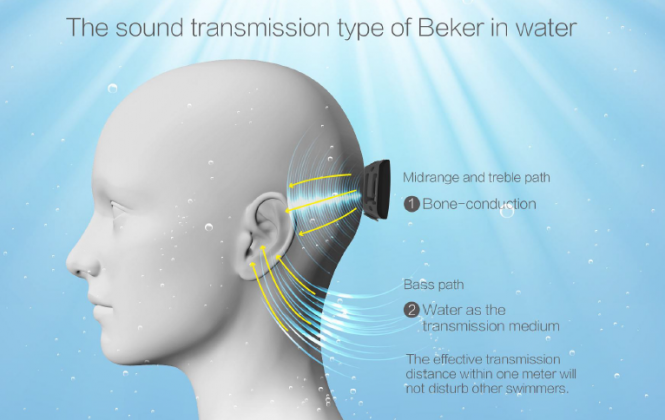 Enter Beker, a ground-breaking way of listening to your favorite music on the go (or even underwater)! 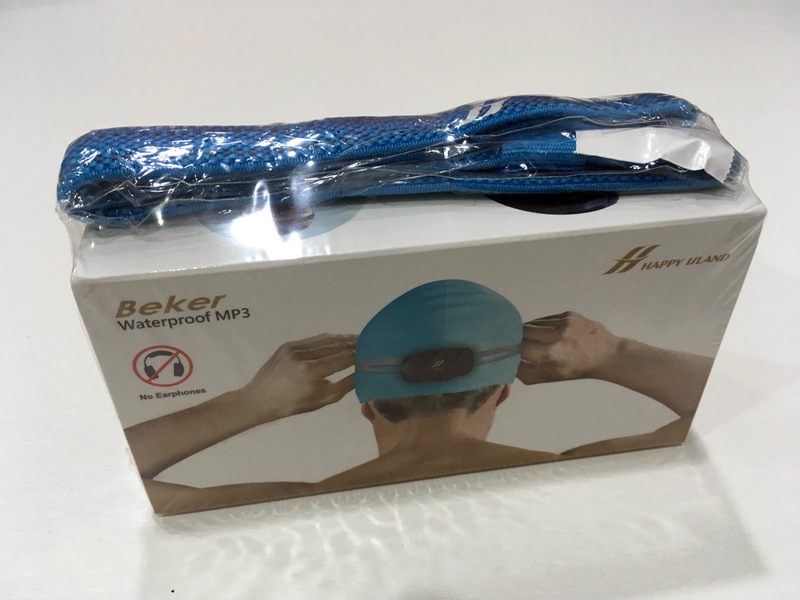 Beker is a waterproof, ear-free, bone conduction music player which allows you to enjoy your music when doing water/outdoor sports. 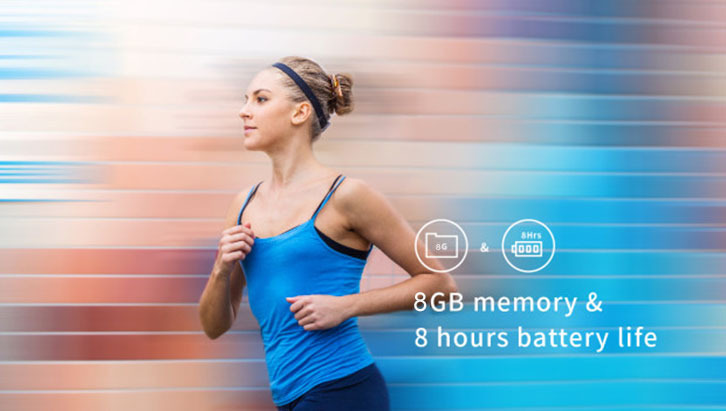 It weighs only 34g, similar to a standard slice of toast, yet it carries 800 to 1000 songs and the battery lasts 8 hours by charging just for 50 minutes. Transferring music to it is as easy as drag-and-drop. It is compatible with Mac and PC. While on the go, control buttons are conveniently placed allowing you to perform basic functions without having to stop or slow down. 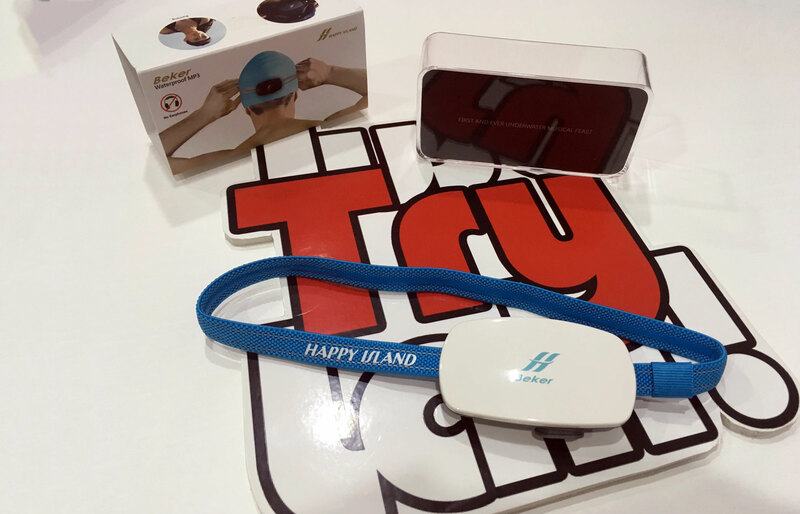 Bone conduction technology has been around for some time, but an amphibious bone conduction music player that looks cool and allows free moving is a brand new concept. 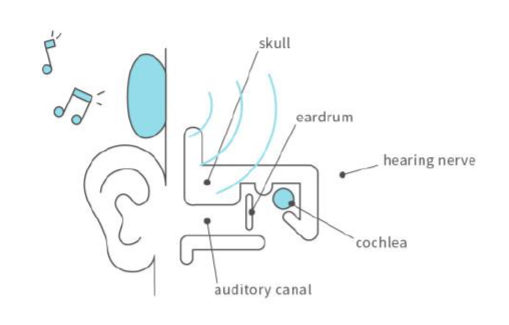 The sound waves are directly conducted through the skull to the inner ear, transmitting the vibrations to the cochlea and the hearing nerve, allowing you to hear your favorite songs in high fidelity. If you’ve ever had to stop and re-adjust your headphones while running, you already know why! But there is more. With Beker, you can enjoy your music up to 3 meters underwater. 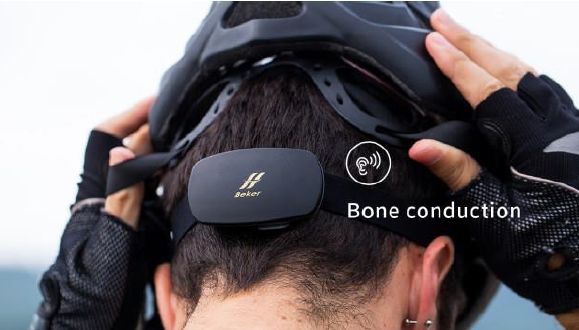 Also, as your outer ears are not blocked by earbuds you are able to hear ambient sounds and maintain situational awareness while enjoying the tunes, making your run safer. 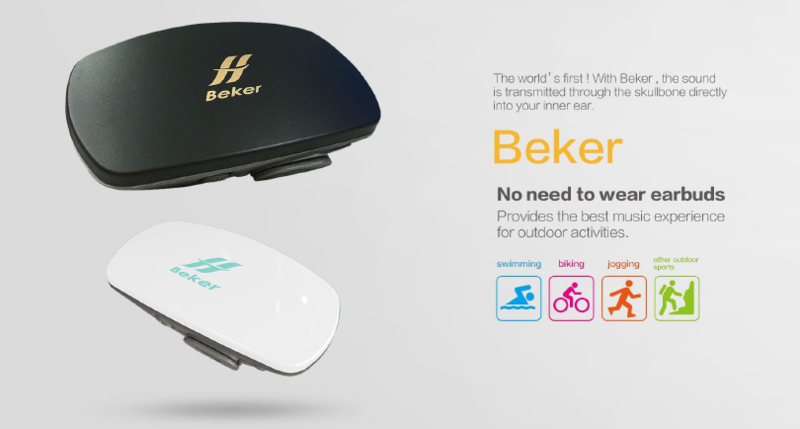 Beker is brought to you in Singapore by Get One Smart, a company specializing in smart technology and gadgets aimed at improving and innovating your daily lives. 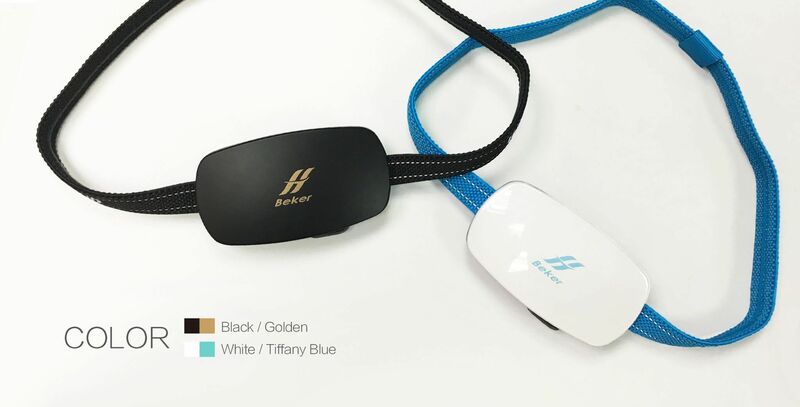 Its’ stylish design comes in 2 colors, the elegant Glossy White with Tiffany Blue and the cool Matt Black with Gold. 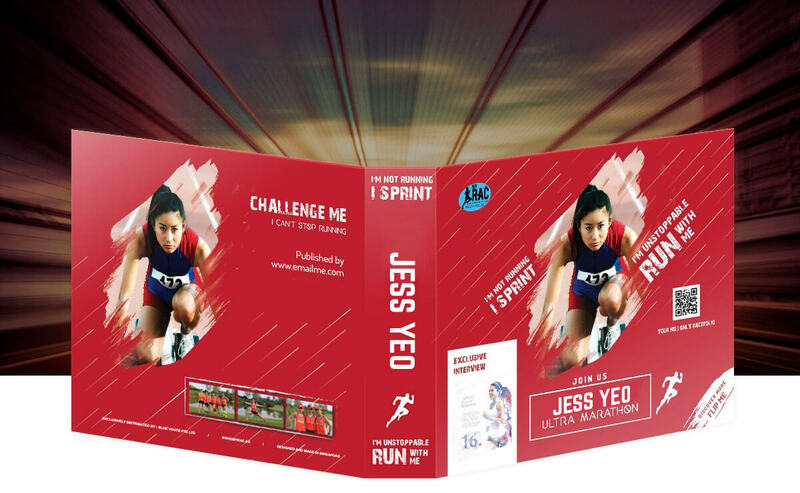 You can purchase it online for S$159.00 by clicking here. 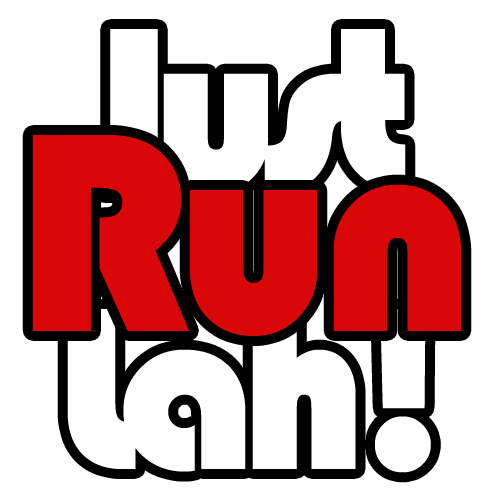 DISCOUNT CODE – 20% OFF: Good news all JustRunLah! readers can enjoy an exclusive discount by quoting promo code: JRL20 Code is valid until 31 December 2016. Active runners are continually trying to find an impeccable answer for storing and showcasing their medals. Most commonly, the method of choice is to chuck them all into a drawer or place them on a hanger holder. However, over the time they are faced with very unpleasant situations: a chaotic drawer with medals scrambled all over and lanyards entangled, or medals gathering dust on the hanger holder. 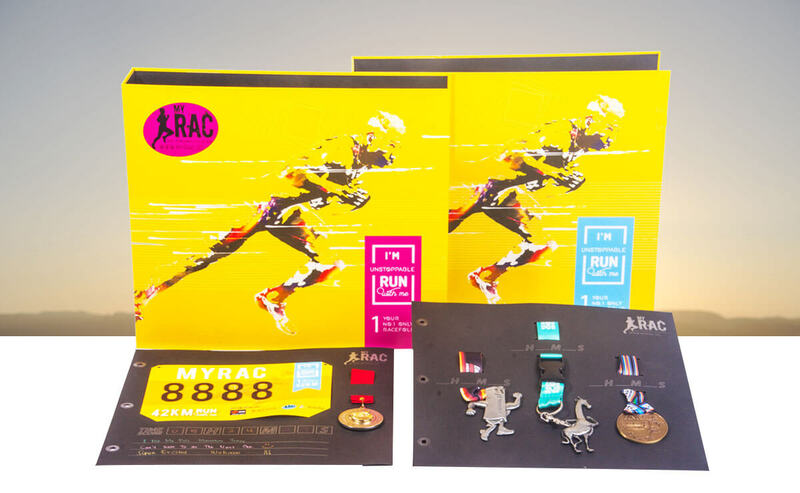 Luckily, there is now an answer for all runners: myRAC otherwise known as My Race Achievement Collection is an immaculate answer for runners to store and showcase your medals. 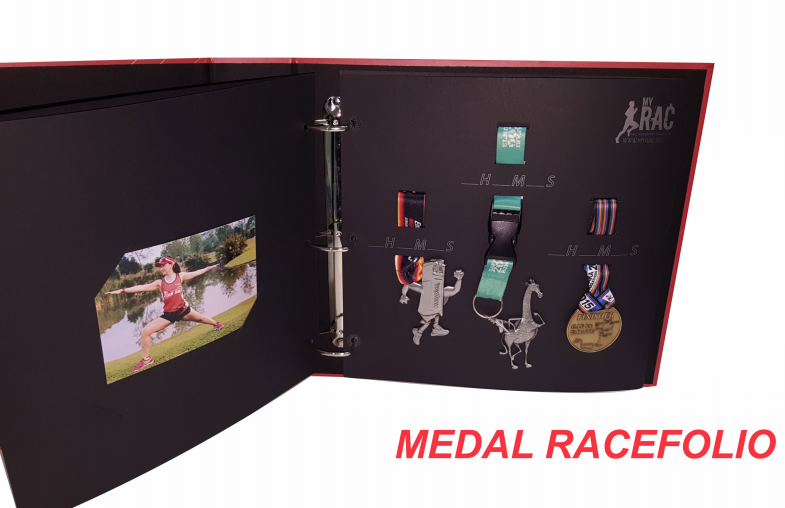 Each of the Medal Racefolio can display up to 3 medals, and runners can even record their timescores for every race. Medal Racefolio costs $5.40 per piece, i.e. it is only $1.80 to store one award. What about the Race BIB? Don’t worry! 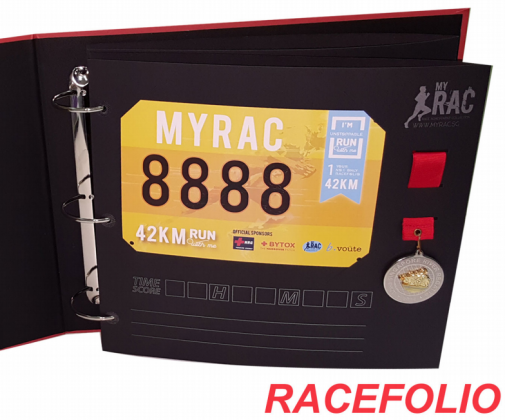 myRAC is an all-in-one-solution: myRAC Racefolio can store 1 RaceBIB, 1 medal, timescore, notes and even a 4r or 6r photograph. Now you can store and showcase your single race kit into a single portfolio, priced at $4.80/piece. All Racefolios can be kept in myRAC standard folder or myRAC personalised folder which can be customised with runner’s name, photos and slogan. Each folder can store up to 25 racefolio pieces. Chances are you are already familiar with PAssion Card. Members can enjoy discounts in over 1,000 PAssion Merchant outlets, as well as exclusive privileges at Community Clubs (CCs) and People’s Association (PA) outlets, island-wide. But did you know this card is a great gift for runners? Other than shopping, PAssion Card sponsors and partners a number of races every year, giving its members the opportunity to sign up for races at a discount. 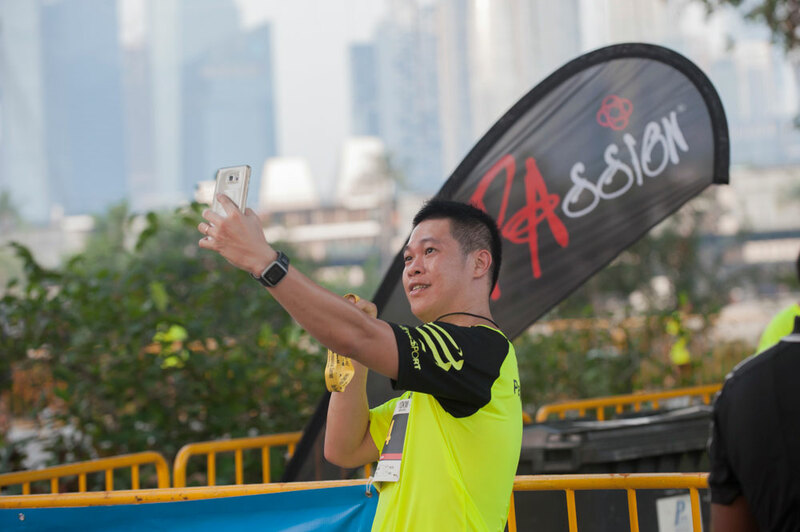 For example, in 2016 PAssion Card powered The Performance Series Singapore where card holders were privileged with the maximum available discount, saving S$30 for a total of 5 races. What’s more, now that there is CEPAS capability incorporated in the card, PAssion ez-link Cardholders will be able to experience the convenience of contactless payment at over 10,000 transaction points including payment for courses and activities at CCs and PA outlets, usage at multiple transit services for public transport such as MRT and buses, ERP/EPS parking charges as well as retail purchases. So there is no need to be carrying around a lot of change or cards when you are going for a quick jog, just bring the PAssion Card with you and you are good to go! Log on to www.passioncard.sg for more details. Here is one for the ladies! EPG believes that nurturing healthy minds and bodies is the key to living better every day, and is committed to help you keep fit. If you are a yoga or pilates regular, take note of their brand new items! If you have never tried it before, we are sure that this collection of activewear will make you want to give it a go. Braided Y-back Bra: Less is more! This braided Y-shaped bra gives you the support and comfort you need when doing yoga. Its sophisticated criss-cross design allows you to match with any basic tee and let your inner self shines on its own. It is made from supersoft elastic band for movement and comfort and comes with inner bra support with removable cups. Made from 93% Polyester & 7% Spandex, it is also available in Grey, Heather Pink, Red & Turquoise. Back to Basic Capri: Classic and no-fuss capri for yoga and pilates. This highly stretchable capri gives you the freedom to move and its breathable mesh fabric helps to keep you cool at all times. It comes with a four-way stretch fabric for ease of movement, wide waistband for comfort and support and a side zip pocket for keys and cards. Made from 90% Nylon & 10% spandex. Kick-start your mornings with a vitamin-packed fruit and vegetable juice, or recover faster from your workouts with a fresh fruit and protein smoothie. The Oster MyBlend personal blender comes in four bright colours and boasts a sleek look, but the true beauty of the Oster MyBlend personal blender extends beyond its appearance, and lies within its design. Its high speed function is ideal for crushing ice, giving you a smooth and tasty shake, while the one-touch blending makes it super easy to use. 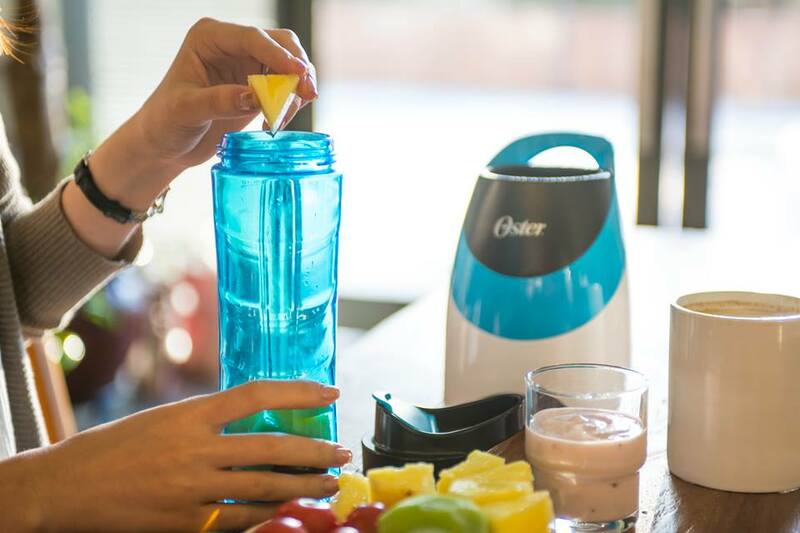 Instead of pouring your drink from the blender to another container, the Oster MyBlend blender vessel doubles as a bottle you can drink straight from, so you keep every last drop of blended goodness. No pouring, no risk of mess, no cleaning up twice. More for you, less washed down the sink. The BPA-free 600mL reusable sports bottle is also dishwasher safe.